Putnam County is a gardener’s paradise. The climate is moderate. Soils are generally good. Rainfall is adequate. Thus, our landscape is beautiful and our vegetable gardens produce in abundance. An old saying in the Upper Cumberland is “we eat what we can and what we can’t we can.” In addition there is great gratification in “putting up” fruits and vegetables in our own kitchens. For most of us, food preservation has skipped a generation. But we have fond memories of grandma’s pickles and a favorite aunt’s jelly that were above and beyond that off the grocery shelf. Thus, many of us are rediscovering the art of preserving foods that has been such a rich tradition in middle Tennessee. This resurgence is not attributed simply to our wanting cheap food, but because we want to control the quality and safety of the food we eat. Also we want to eat local produced foods picked fresh and ripe, not handled by whomever, shipped in who-knows-what conditions, and chemicalized each step of the way. In addition, we can customize recipes to accommodate our tastes and/or traditions of our region. Home-preservation is easier and faster than we imagine. The flavors and textures are phenomenal. Quality is assured. And the compliments are supreme! Many people in Putnam County are learning time honored techniques under the tutorage of family and friends. Others are taking classes. 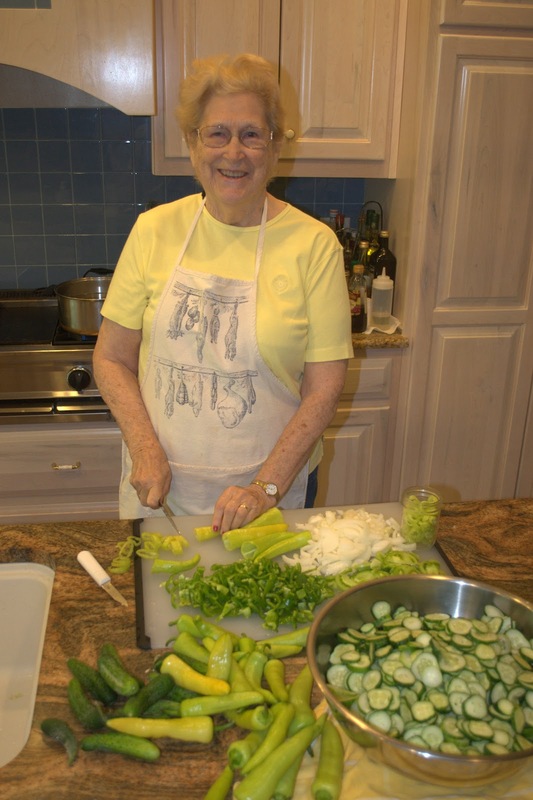 Rosemary Ponte will be teaching an introductory class on preserving pickles and jellies, as well as demonstrating techniques for dehydrating fruits and vegetables, from 9:00 to 11:00 Saturday, July 28 at the University of Tennessee Extension. Rosemary is an experienced veteran at food preservation who began at the apron of her mother. In addition to a Power Point presentation, specific techniques will be demonstrated. Discussions and answers to questions will span the interests of participants as well as instructors. All procedures meet University of Tennessee specifications. Enroll at the University of Tennessee Extension Office (900 South Walnut Avenue, Cookeville) (526-4561). There will be a $5.00 fee to cover expenses. You will be on your way to place jars of your pickles, chutneys, jellies, and jams on your table or on the table at your next social. To say nothing of the fried pies.